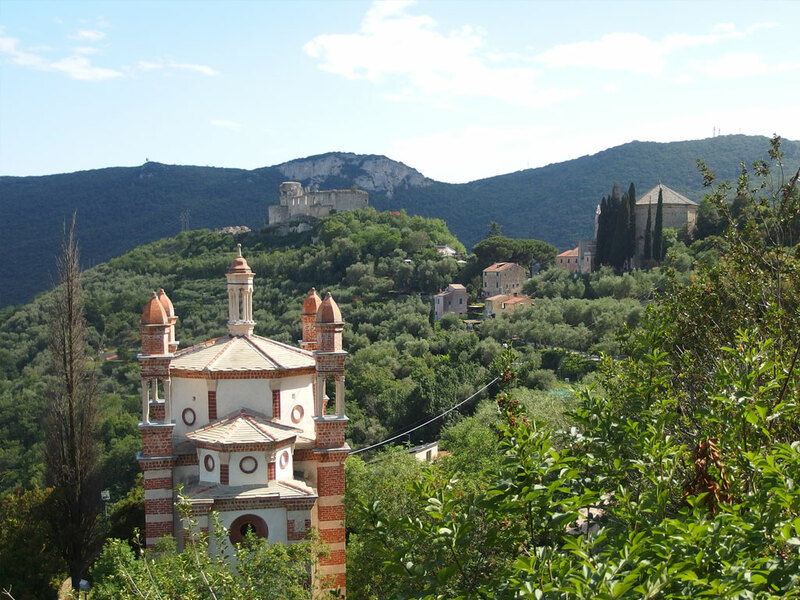 The village of Perti is situated close to the Gavone Castle. It has Roman origins and its name derives from the boundary dividing the Sabatian and the Ingaunian territories. Recent discoveries show that Perti was peopled in the early Middle Ages. It is located below Castrum Pertice, built on San Antonino rock. Here we find one of the oldest churches of Finale, St. Eusebio's Church. The present church is made up of several buildings from different eras and architectures, result of several layers. A Roman necropolis was discovered during the construction of the new road in 1955 to 1956. Many discoveries, tombs dating back to 4th and 5th century AD, prove the presence of a Roman vicus; they are now kept in the Archaeological Museum. A funeral graffito tile was discovered in the nearby archaeological area in 1979. It bore an inscription dedicated to Lucius, a nine-year-old boy, and was dated 362 AD. It is the most ancient Christian-inscribed find in the Ligurian-Piedmontese area. Finale Ligure offers a rich calendar of events all year long: every day it is possible to choose among different kinds of events: art exhibitions, concerts, sports' events and activities for children, cultural meetings, and much more.